The great transition is moving slowly enough that most people haven’t noticed yet, but the world is steadily decoupling from the USD. It’s a long game, to be sure. As gold hoards are amassed and repatriated, as the petro-yuan becomes a more widely accepted form of petro-commerce, as the greenback is printed into oblivion and obscurity, US paper fiat currency is losing both its prominence, status, and power both within and without American borders. If the gold standard were to be reinstated, control of the dollar would revert to free market forces instead of the whim of the Federal Reserve. It would mean that each dollar would have its equivalent in gold, as it did prior to 1913. At that time, the US economy grew at a robust annual rate of 4 percent compared to an average annual growth of 2 percent since 2000. Officially, the US has 8,133.5 tons of gold in reserves, although the government won’t confirm that number. No one is permitted inside the various vaults to verify. Even the purity of the available gold bars is in question, as many may not conform to industry standards. 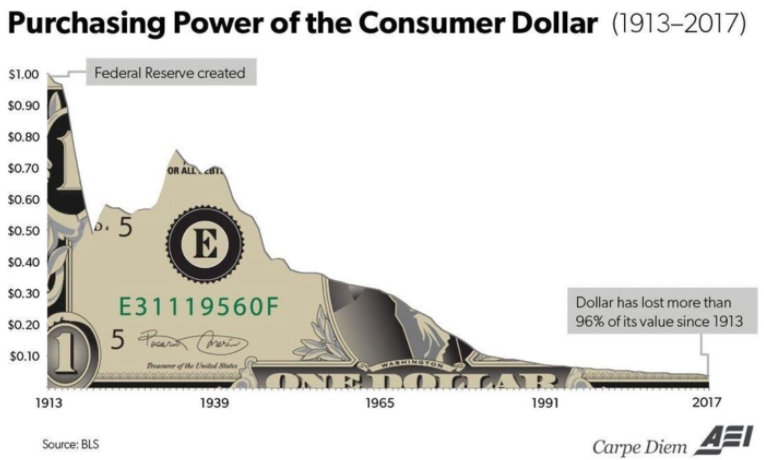 As other countries contemplate the return to the gold standard, unless the US catches up, the dollar will lose its dominance as the world reserve currency. China launched its oil futures-backed Petro-Yuan in March. The oil industry has revolved around the petrodollar since the 1970s. It is expected that the Petro-Yuan will take up to $800 billion worth of trade from the petrodollar. Currently, the petrodollar secures global demand for the dollar. For the US, the petrodollar translates into tremendous purchasing power. China’s Petro-Yuan may change all that. China is the largest crude oil importer in the world, and that may give it enough leverage to unseat the US dollar when it begins to pay Saudi Arabia for its crude in Petro-Yuan. This provides an opportunity for oil exporters to bypass the current powerful petrodollar arrangement. If this happens, it could mean serious trouble for the US dollar. The value of the dollar is heavily dependent upon US oil imports. If oil exporters become dependent on the Petro-Yuan instead of the petrodollar, it could be the death blow for the dollar. In addition to the Petro-Yuan, China has been quietly building up its gold reserves for years and may have plans to ultimately back the yuan with gold.